Unlike many, I woke up today (New Year's Day!) bright eyed and bushy tailed! I find New Year's Eve to be highly overrated, and for the past few years I have opted to stay in for the night. So last night, Millie (my cat) and I watched a bit of the brilliant show Downton Abbey and flipped through some magazines. I also perused several online etailers to see who had the new Guerlain Cruel Gardenia Meteorites, but I was able to resist purchasing.........that is, until this morning. 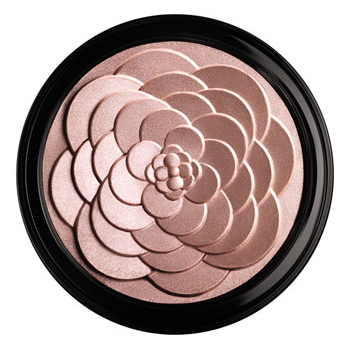 Upon waking, and re-reading Temptalia's glowing review of this stunning highlighter for the eight millionth time, I decided that I needed it in my life! I have been completely highlighter obsessed lately and have way more than one person needs, but in my defense, they have mainly been champagne colored highlighters, rather than pink-based--like this one! For those of you thinking about making a purchase, I would urge you to decide one way or another sooner than later as Nordstrom was sold out both online and in stores by this morning. I was able to order mine off of Bloomingdales and it even qualified for free shipping. And, as always, don't forget to use either Ebates or MrRebates for cash back on your purchase! I am hoping this will reach me soon. So keep an eye out for an upcoming review!